Given the dominance of ‘classical’ music in many educational institutions, it might be tempting to look to these longer-established traditions for curricular approaches. But popular and classical music practices are too different from one other to provide reliable pedagogical equivalencies. Should popular music students read music notation, as all classical students are required to? On the one hand, this is a useful way to understand and apply music theory, and for some repertoires it may enable students to perform more easily. On the other, music reading skills may be of little use for those trying to analyze (still less create) techno or hip-hop, for example. We can infer that a musically inclusive popular music curriculum might value lyric writing, music production and sampling as highly as a classical one might value sight-reading, voice-leading and counterpoint. Designers of classical performance curricula can choose to focus purely on instrumental or vocal performance, sometimes cheerfully omitting composition; in industry context, we might describe an orchestra as a very large covers band. 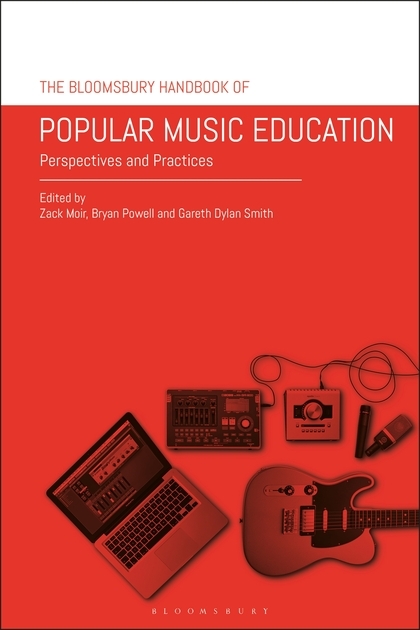 By contrast, most of popular music’s most influential performers write their own material, and a PME curriculum that focuses exclusively on existing repertoire may limit its students’ creative choices. Popular music can even challenge what it means to play an instrument. Some higher education music institutions, including my own, are now beginning to accept students whose ‘instrument’ is the Digital Audio Workstation. So I guess we should add auditions, creative portfolios and grading to our agenda at the next music department meeting. And we will need to think carefully about the criteria for what makes a good teacher; a popular music faculty member in a university once told me “I never got a PhD, because I left school when I had my first hit record”. Who teaches the teachers? And what should they teach? Like every field of artistic endeavor, popular music is constantly evolving. Since the turn of the millennium there have been unprecedented and irreversible changes in the way our art form is created, distributed, monetized and consumed. All recordings in the commercial mainstream today are created with a Digital Audio Workstation; record companies no longer press records; streaming audio has replaced downloads (which in turn replaced CDs, vinyl, cassettes, etc., and so on back to the wax cylinder). I suggest that these changes continue both to influence and define the art form, and the professional PME community will need to evolve new value systems to help students to navigate the contextual relationship between historical and contemporary popular musics. A classical musicologist who belittles a hip hop recording because of its harmonic simplicity is probably not listening for its drum micro-groove, vocal comping, rapper’s flow, sample usage, mix dynamics or intra-musical cultural allusions. We must address these issues if we are to serve our students as learners, as future practitioners, as music lovers or as teachers. This book represents some of the best of the current thinking in PME, with contributions from experienced teachers, practitioners and scholars across the world – at my estimate, a total of around 500 years of combined experience. The authors do not have all of the answers. But we’re pretty sure we’ve nailed the questions. Greetings from Stockholm, Joe. Thank you for the well thought through overview of “where we are” regarding the creation, absorption, and education process regarding “popular” music. When people were writing chant for the cathedrals, there were no orchestras. When “classical” composers were writing symphonies, there were no recordings. And on and on. Perhaps the basic foundation of any teaching approach could/should be “change is the only thing that remains the same.” And we use that point of view as our starting place. I thank you for your life-long dedication to these issues.